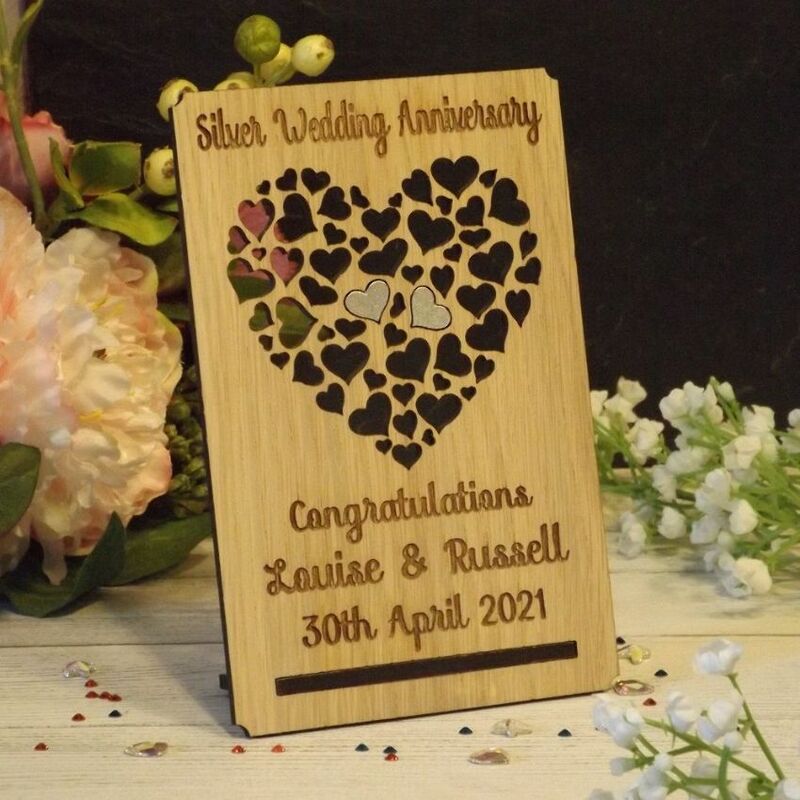 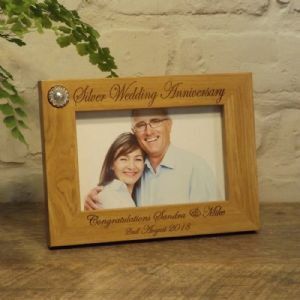 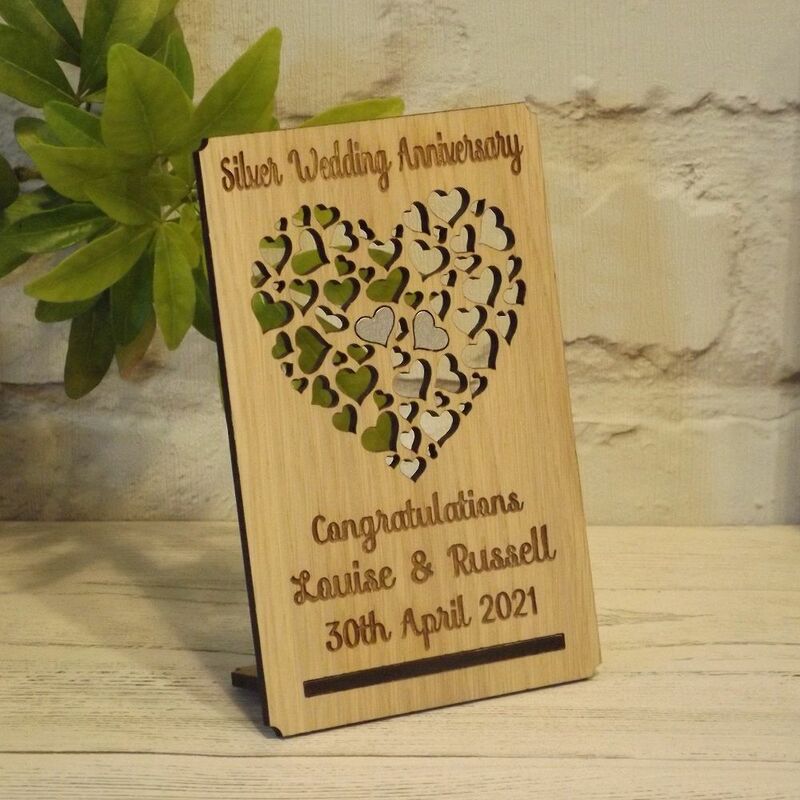 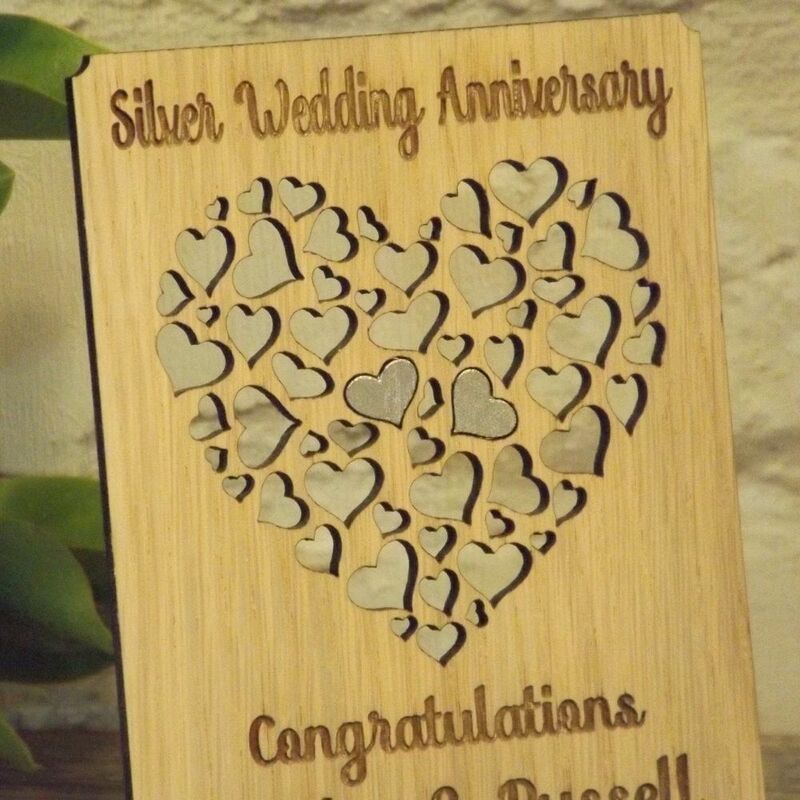 This lovely wooden filigree hearts plaque features the wording 'Silver Wedding Anniversary' across the top. 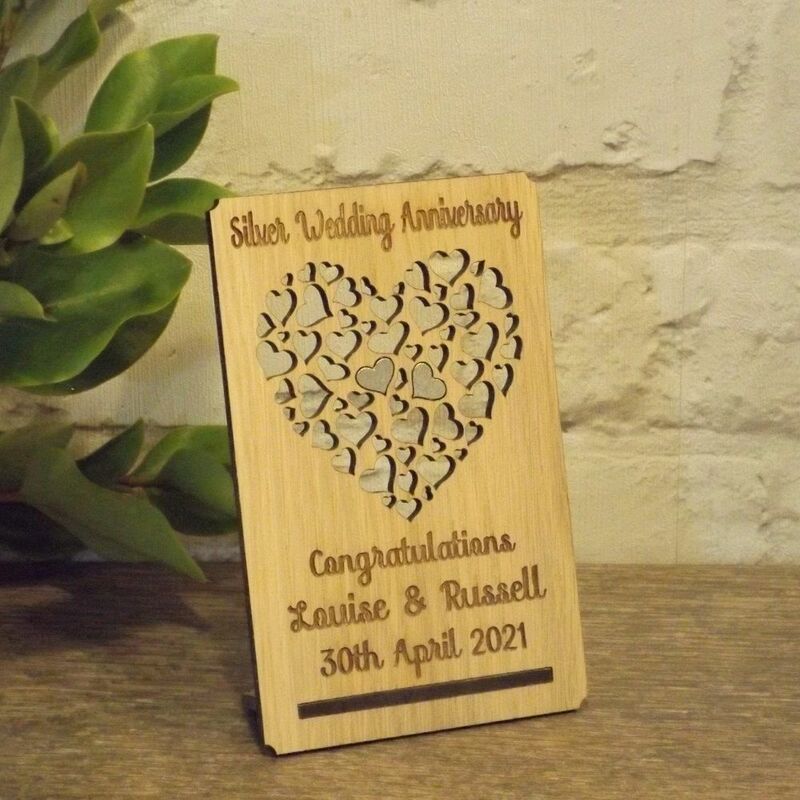 Made from oak veneered wood featuring a pretty cut out filigree hearts design. 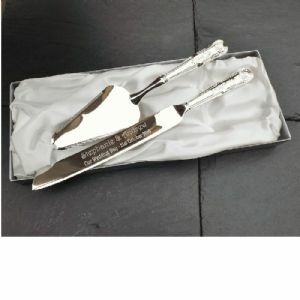 Looks fabulous displayed on the mantelpiece or windowsill where the light can shine through. 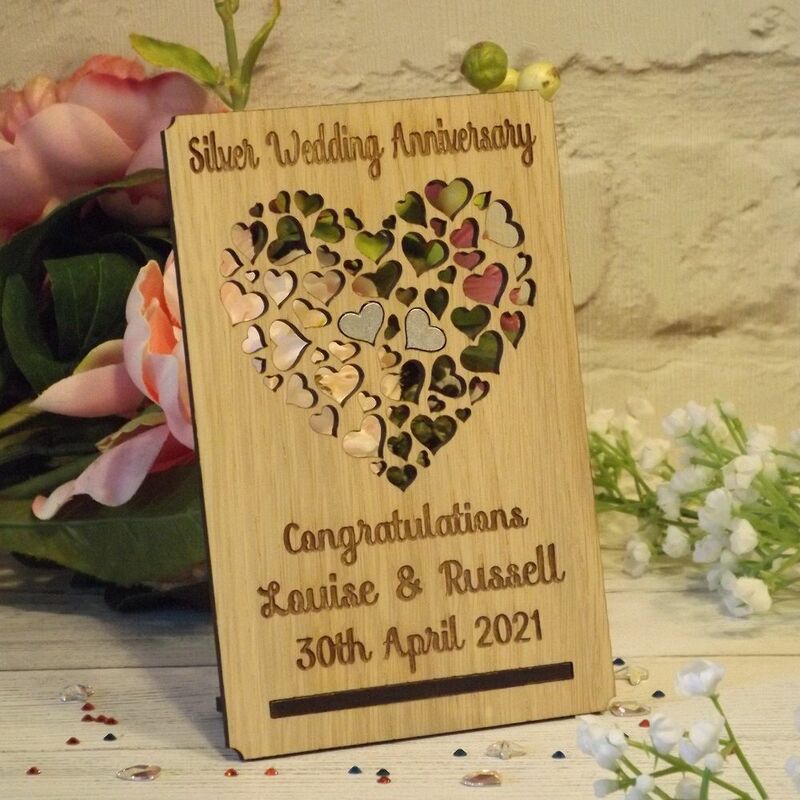 At the centre of the hearts design there are two hand-painted silver hearts.